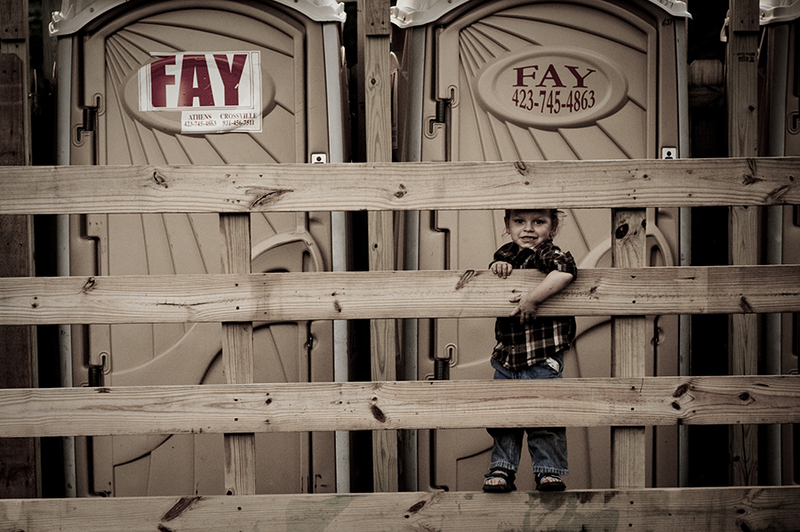 Tiny Corners / jamie olson photography // Porta-potty cowboy. Love the tone and consistent color theme! Love that arm over the fence. So cute.